Edward Dwelly (1864–1939) was an English lexicographer and genealogist. He created the authoritative dictionary of Scottish Gaelic, and his work has had an influence on Irish Gaelic lexicography. He also practised as a professional genealogist and published transcripts of many original documents relating to Somerset. He was a keen piper. 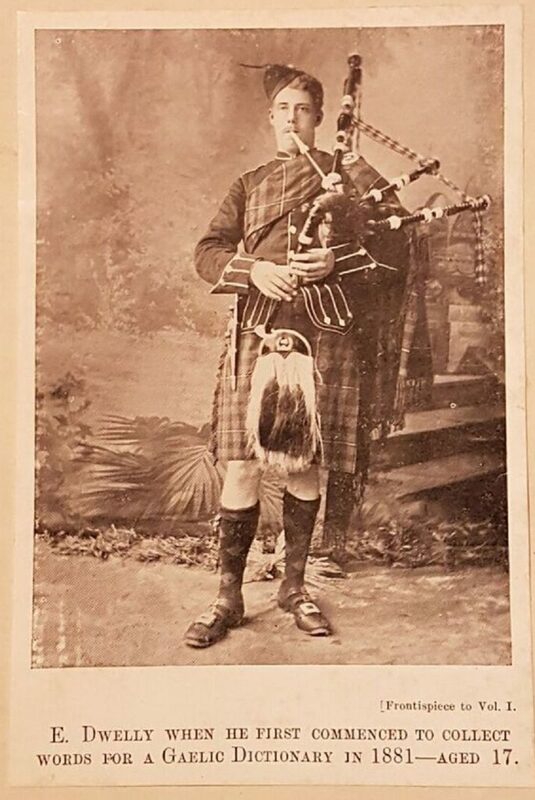 He tabulated the Netherlorn and the MacCrimmon Canntaireachd, compiled detailed instructions on how to play piobaireachd movements, and transcribed ten piobaireachd and many ceol beag tunes. His piping papers were given to Iain MacCrimmon, who has gifted copies to the Piobaireachd Society. Click on the link above to access.